Portfolio management has evolved to be a profession with qualified advisors recommending possible asset classes for investment to traders. 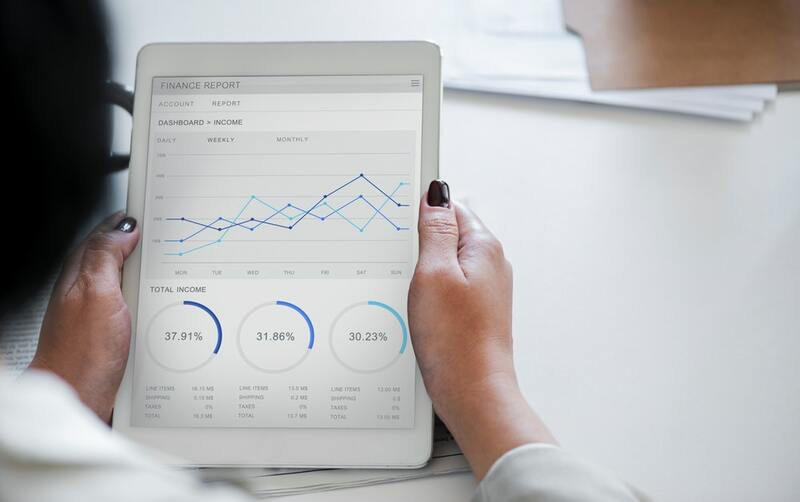 Investors research their options, however, they still need professional advice on where to park investable money and when to exit the markets for realizing returns. An investment strategy helps an investor save and invest wisely, to meet financial goals in line with the risk appetite. Every investor has a varying view of the markets, and the ability to bear the risk. This also depends on the age of the investor, income level, consumption and saving patterns etc. Due to this, every investor has a different strategy to tackle the market volatility and trading environment. Risk-averse investors may choose to stay completely away from the share markets and invest instead in treasury bonds or bank fixed deposits. Risk takers, on the other hand, may invest only in share markets as speculative traders or short-term traders. Buy and Hold: Investors can buy and hold shares basis the notion that long-term returns are reasonably high, despite the short run volatilities. Buying and holding on to a share implies that the trader does not intend to sell it off in the near term. The market sentiment or short run turmoils do not affect the trader to a great extent. Buy and hold strategy is said to have worked to generate good returns for various investors. Diversify across stocks: Investors should diversify across various asset classes to maximize returns. Also for demat investments (shares and bonds), investors should spread the funds across varying categories of risk. Blue chip stocks give above-average returns and these shares are issued by established companies with a strong brand name and reputation. On the other hand, penny stocks are shares of companies with a very high risk of earning a return. These trade at very low prices, and are attractive for traders seeking a high risk-return tradeoff. A smart investor should take heed not to concentrate funds in a particular kind of stock, but instead diversify across stock categories. Fundamental Analysis: Investors should attempt a thorough fundamental analysis of the stock invested in. It involves assessing the financial health of the company in tandem with macroeconomic factors like GDP (Gross Domestic Product), inflation rates, interest rates, employment rates and competitor performance etc. Technical Analysis: Analyzing a particular stock by technical analysis is to study the direction of price movements minutely by quantitative and qualitative means. It is a form of active management of the investment portfolio. Most traders do not possess the necessary skills to conduct a technical analysis. Hence, they either appoint brokers or invest through mutual funds. Mutual fund investments: Investors can invest in mutual fund schemes, run by established asset management companies (AMCs), rather than investing themselves in the share markets. AMCs are managed by professionally competent portfolio and fund managers, who have a thorough knowledge of the market movements and sentiments. When invested in a mutual fund scheme, the trader is rid of the worries associated with tracking and monitoring investments at a micro level. Also, the funds are managed by professionally qualified managers, and this leads to a higher return for the investor. Momentum Trading: This strategy is suitable for traders who are beginners in the share markets. Investors should buy and sell those stocks which have a strong upward or downward price movement. Identifying trends in prices are the key prerogative for a momentum trader. A fairly simple strategy, it can earn high returns for those traders who become skilled at the art of analyzing trend movements and predicting future rates. Avoid emotional trading: The markets are heavily influenced by investor sentiment. The highs and lows and volatility is a constant feature of the stock market. Investors should maintain a diary to record the prices of stocks invested in on a periodic basis, however, they must not invest or exit the markets based on only emotions or ‘gut feelings’. A scientific analysis before investing is important. A free demat account brings many takers for the stock markets. Even college students and fresh graduates with an interest in trading and a keen eye for the markets can enter the share markets. However, having a definite strategy for investments is vital for survival in the markets. The short run allure of the markets can easily turn to heavy losses if a strategy is not selected by the investor.